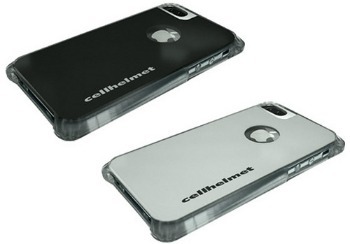 Cellhelmet.com is building a protective case for your iPhone 4/4S that not only looks great, but also comes with a guarantee that covers repairs and replacement. What if you could buy a protective case for your iPhone 4/4S that not only looked great, but also came with a guarantee that would cover repairs and replacement? The folks at cellhelmet.com are looking to Kickstarter to offer what they claim will be the world’s first and only case to do just that. Designing a protective case for an iPhone is no small feat. It has to be the perfect blend of form and function, shielding the phone from damage while also being sleek enough to show off the phone’s design. cellhelmet.com has partnered with Global Warranty Group, the insurance administrator, to create “cellhelmet,” a case for the iPhone 4/4S that includes one full year of guaranteed accidental damage insurance for the device which covers pretty much everything under the sun except water damage (so just be sure to stay away from swimming pools and bathtubs). Unlike most other options currently available on the market, cellhelmet’s insurance protection also covers new, used, unlocked and jailbroken iPhone 4/4S’s…great news if you’re looking to pick up a gently worn iPhone of your own. Will cellhelmet put an end to those annoying monthly insurance premiums from your friendly neighborhood cellphone provider? With just over 30 days to go in their Kickstarter campaign, the folks at cellhelmet.com have already raised more than $8,000 of their $10,000 goal and are well on their way to going into production in early March at a facility in Latrobe, Pa., just a stone’s throw from their headquarters.